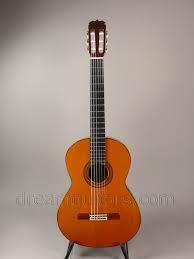 The following are a few examples of solo Classical, Spanish, Latin, and Romantic guitar music. Please also visit my JAZZ solo/ duos/ group page and VIDEOS page for some more samples in other styles. For wedding ceremony music samples, please see my Weddings & Special Events page. I can perform tons of Christmas & holiday favorites for your holiday party or special event, either as a solo guitarist or with an ensemble. Please see my store for my Songs Of Christmas CD, and hear just a few samples below (can mix in with the other styles I perform to give a nice mixture). In J.S. Bach’s huge repertory, a sizeable number of transcriptions exist. Bach frequently re-worked his own material and cast it in different settings, and nowhere is this better illustrated than in the Lute Suites, particularly BWV 1006a. Bach’s earlier version of this piece, Partita III for Solo Violin, BWV 1006, served as his source material for the lute version. Bach also used the Prelude of this suite as an orchestral Sinfonia in the cantata “Wir danken dir, Gott, wir danken dir,”24 BWV 29, and as an introduction to the second part of another cantata, “Herr Gott Beherrscher aller dinge,” 25 BWV 120a. 26 The piece is now performed most frequently on the guitar, transcribed from the lute version. It was originally written for the piano and set in the key of G minor. It was first published in Barcelona by juan Bta Pujol & Co., in 1892 as the prelude of a three- movement set entitled Chanto Chants d’Espagne. The name Asturias (Leyenda) was given to it posthumously by the German publisher Hofmeister, who included it in the 1911 “complete version” of the Suite Espanola, although Albéniz never intended the piece for this suite. Despite the new name, this music is not considered suggestive of the folk music of the northern Spanish region of Asturias, but rather of Andalusian flamenco traditions. Leyenda, Hofmeister’s subtitle, means legend. The piece is noted for the delicate, intricate melody of its middle section and abrupt dynamic changes. Albéniz’s biographer, Walter Aaron Clark, describes the piece as “pure Andalusian flamenco music” with a main theme that mimics the guitar technique of alternating the thumb and fingers of the right hand, playing a pedal-note open string with the index finger and a bass melody with the thumb. The theme itself suggests the rhythm of the buleria — a song from the flamenco repertoire. 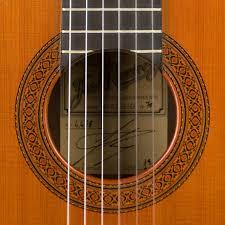 The ‘marcato’/’staccato’ markings suggest both guitar sounds and the footwork of a flamenco dancer. The piece sounds as though it is written in the Phrygian mode which is typical of bulerías. The second section is a reminiscent of a copla — a sung verse following a specific form. Clark states that it is written in typical Albéniz form as it is “presented monophonically but doubled at the fifteenth for more fullness of sound. The music alters between a solo and accompaniment that is typical of flamenco. The short middle section of the piece is written in the style of a malagueña — another flamenco style piece. The malagueña borrows two motives from the previous copla and builds on them. The piece returns to its first theme until a slow “hymn-like” passage ends the piece. Many have attributed the first transcription for guitar to Francisco Tarrega who put it in its most recognizable key, E minor. According to the guitarist and guitar music scholar Stanley Yates, the first guitar transcription of the piece was probably by Severino García Fortea, although Andres Segovia’s transcription is the most famous and most influential. The piece has become one of the most important works of the classical guitar repertoire.